Sarah enjoys offering group therapy services and has extensive training as a therapist and facilitator in this setting. Clients are sometimes skeptical of participating in therapy with a group, but group therapy is known to be effective, supportive, and can be a more affordable alternative to individual sessions. Group members can offer support and insight in addition to the therapist, and this can lead to a very positive experience for participants. This is a casual, drop-in group that is based around theater and drama therapy techniques and is intended to provide participants with a felt experience of being present in their bodies, present with others, and to cultivate the playfulness and creative self expression that can only come with being mindful and present. 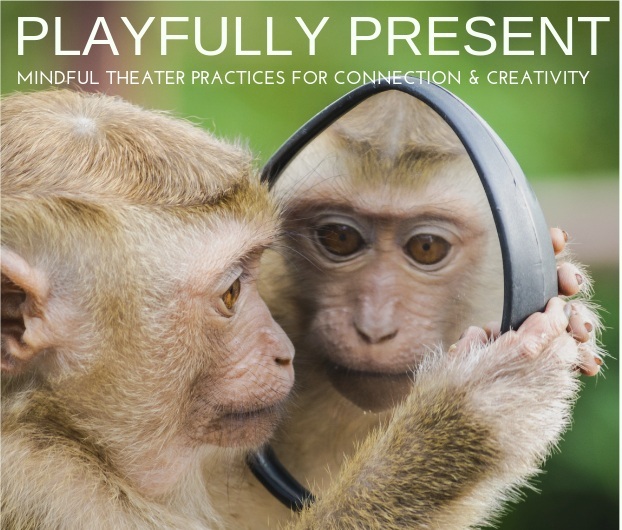 Expect to build your skills for mindful embodiment through theater-based activities with some fun and play to energize you, release stress, and boost your creativity! Make friends with discomfort, let go of judgment, build acceptance, and be in the moment! This group is for anyone 18 years old and older. Please arrive a few minutes early your first time in order to find the suite and sign a consent form for participation. Be aware that you will feel most free to participate if you wear clothing that allows you to bend/stretch/kneel comfortably. You do not need any previous mindfulness/meditation or theater experience to participate. Sarah will meet you at your comfort level, so please take a risk and give it a try! First visit is free for the month of May! WHERE: At Mindful Nashville, which is located inside the 100 Taylor St. building, Suite 8-B, in Germantown, Nashville. Parking is available in the lot or on the street at 100 Taylor Street. There is a side entrance (off the parking lot) and a frot street entrance for your use. It is an arts collective-type building, and inside you will find an array of artisan studios, a coffee shop, and more. Follow signs for 8-B and you will see Mindful Nashville’s sign outside the room. Feel free to text 615-925-3368 if you have trouble finding it! Please allow extra time to find your way on your first visit, if possible. WHEN: Thursday evenings 7-8:30pm starting May 2nd, 2019. This is an on-going, drop-in group. HOW MUCH: $15 if you pre-register by emailing Sarah via the form below. $20 if you drop in. FIRST VISIT FREE for the month of May! Thank you! You are now pre-registered. Expect to be contacted via email to complete pre-payment. We look forward to seeing you at a session of Playfully Present!